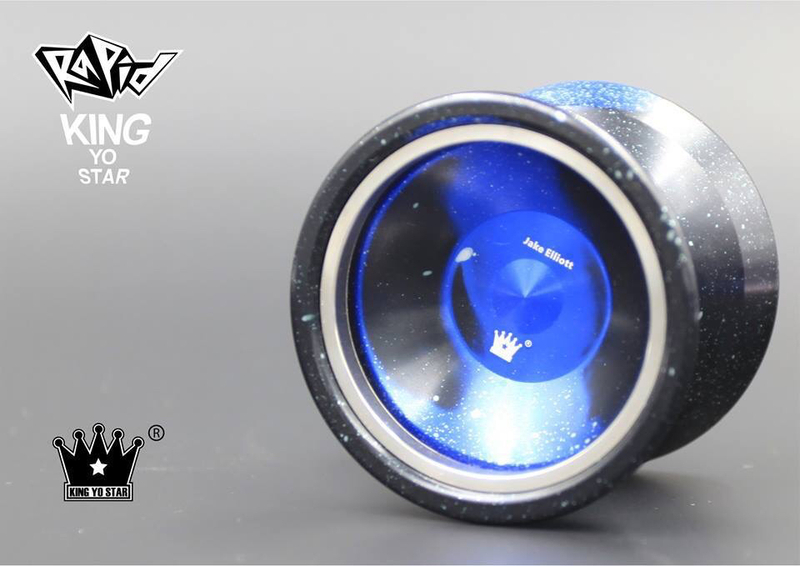 2013 US National Champion Jake Elliott’s new signature model, the Rapid yoyo by King Yo Star, is hitting stores soon and he’s got a new video out to push the release. 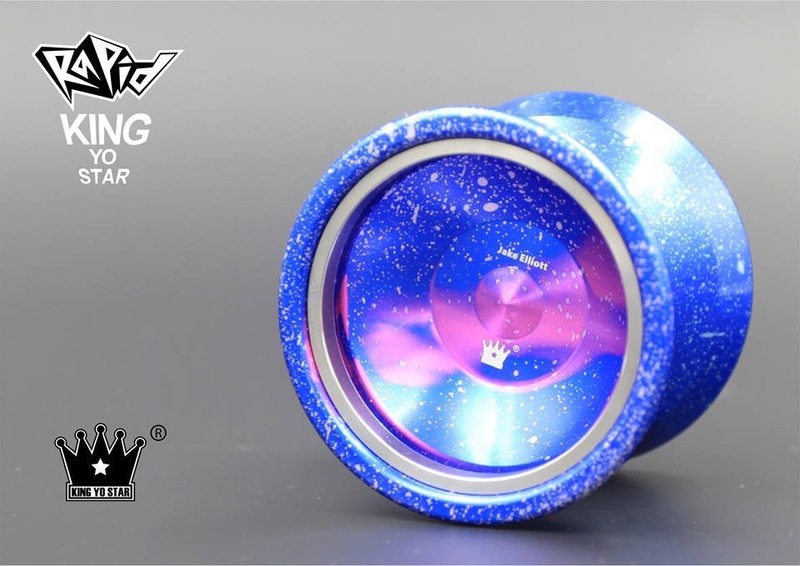 The Rapid yoyo has a bi-metal body, designed to Jake’s specs for demanding counterweight play, and is will be available at and YoYoExpert.com and YoTricks.com on Tuesday, November 18th! Jake Elliot was the 2013 National 5A Champion and has quickly became a well known name and force to be reckoned with within 5A. In celebration of 5A May, I had the chance to interview Jake and learn more about this interesting competitor and highly talented 5A player. Jake and I talked his start in yoyoing, contests, and more! Be sure to check out Jake’s daily trick videos here all throughout May of 2014, and be on the lookout for him getting 1st at a contest near you sometime soon! Jake, in killing the contest scene lately and throwing 5A for a while now, you’ve definitely left your mark on yoyoing. How did you start? I’ve been playing with yoyos for as long as I can remember. They were always one of my favorite toys when I was young, though I never got farther than just the basic tricks – two or three loops, rock the baby, walk the dog, that kind of thing. Then, six years ago in my 7th grade science class I read an article about yoyoing in one of those three page scholastics magazines they hand out in public schools. The article covered the basics of the modern yoyo – A ball bearing, rubber response, and free spinning halves. It really caught my attention, and that day I went home, dug through my closet, found my FAST 201, and learned some basic tricks. After that, yoyo was a daily activity for me and I never stopped. 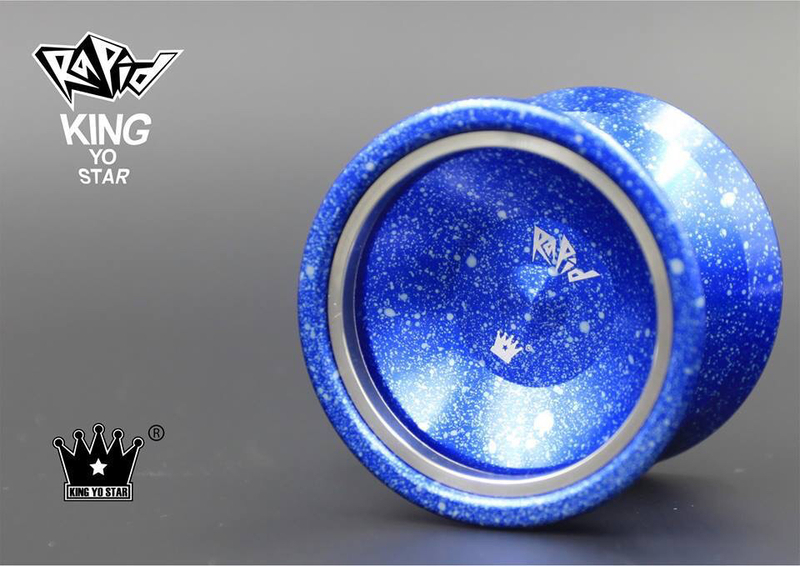 That’s so awesome, yoyos have definitely been a lifelong thing in my life too. How did you originally learn tricks then? On the first day I Googled tricks and I was able to find André’s Expert Village tutorials. I remember learning a few picture tricks, like Eiffel Tower and Confederate Flag. That night I found André’s video on the different styles of yoyoing you’ll see at contests. In that video I saw him hit his Electric Fan to Double or Nothing 5A trick. I was amazed, and desperately wanted to learn how to do that trick. So, the next day at school, I brought a regular dice to school and drilled a hole through it in shop class, and then began learning the basics of 5A. Ever since then, 5A has always been the style that appealed to me most. Wow, that’s early dedication to 5A! What were some of your other early favorite tricks and players in that style? My favorite trick has always been Beesting and it’s variations. I had a handful of them starting out, though I must have at least 15 Beesting variations by now. My two favorite players when I was starting out were Makoto Nakugame and Jake Bullock. I must have watched Makoto’s 2004 worlds freestyle over a hundred times and watched all of Jake Bullocks videos at least twice. I drew most of my early inspiration from those two players. Would you say you progressed quickly? When I first started yoyoing six years ago progress was very slow. It was much more of a casual hobby rather than something I put a good amount of time into every day. 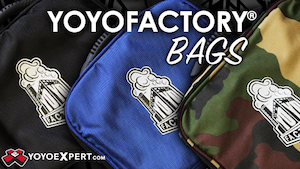 How did you get integrated into the yoyo community and what was your first contest? 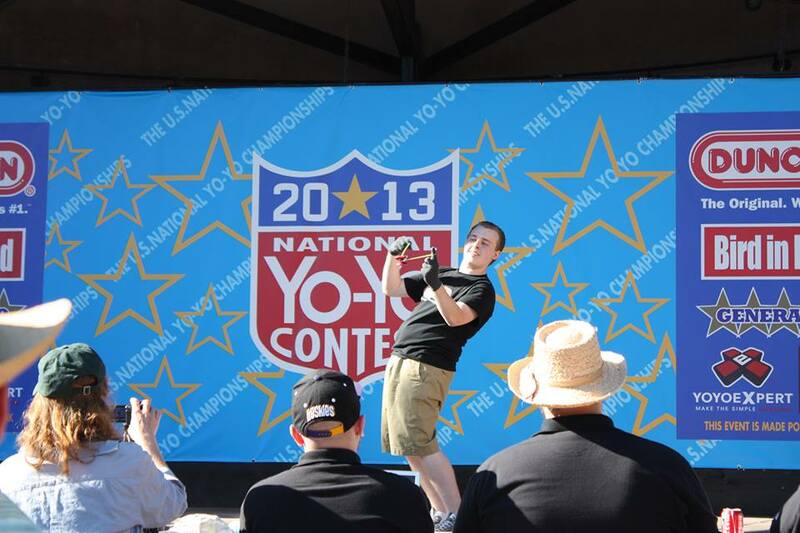 My first contest was the 2012 World Yoyo Contest, which I attended after a little more than four years of yoyoing. It was the best time I’ve ever had in my life. I got to meet amazing people from all around the world, and more importantly, I got to see my favorite players compete on stage. Watching players like Takeshi Matsuura, Takuma Inoue, Samm Scott, and Hiroyuki Suzuki inspired me to start taking yoyo seriously and practice for contests. About a month later I started practicing hard for contests and I haven’t stopped since. In about a year I went from a very mediocre casual player to US national champion. So yes, I would say that I progressed quickly. I would definitely say so too! Was Nationals your first contest win? 2013 Nationals was my 3rd contest and my first win. The other two contests before that were MER 2013 and 2013 worlds. I didn’t get any recognition for my 5A before nationals. Both my MER freestyle and Worlds freestyle went very poorly and people didn’t pay attention to them, so no one really knew who I was. Wow, that’s definitely a way to make an impression on people though! What do you think was different about your approach at 2013 Nationals that helped you get 1st? Well, after about a year of practice with the goal and placing top 10 at the world yoyo contest, only to place 11th, I realized my current practice methods just weren’t good enough. To make myself progress faster, I borrowed practice concepts and techniques from other skill toys in order to gain muscle memory faster. I also learned how to judge 5a, which was a very valuable skill to have when constructing tricks and freestyles. Without those two skills I would not have gone far at all. I would say that method definitely worked! On another note, what would your other favorite aspect about 5A aside from competing in it be? In my opinion, 5A is the most freeing style. 5A can be anything that you want it to be. 5A can be incredibly technical, or it can have very large body tricks. 5A has trick possibility and variety unlike any other style. 5A can emulate other styles. I’ve seen 5A routines where the player is going all 2A tricks. There are tons of 5A players who do very 1A inspired combos, with minimal counterweight manipulation. Some players clearly draw inspiration from 4A and 3A as well. It’s the freedom and variety that the style has that keeps me playing 5A, rather than other styles. As a spectator rather than frequent player of 5A player I still totally agree with you, that’s why I like 5A too. What would your advice be for anyone else trying out 5A? Learn the basics first. Tricks like 360, 720, Electric Fan, Beesting, those kinds of tricks. Once you understand the basics of how to control the counterweight, then you can start taking 5A in whatever direction you want. Take whatever style you play most and try to incorporate the counterweight into your existing tricks. If you’re a 1A player, add some counterweight manipulations into your favorite combos. 4A players might like the larger body tricks that 5A has to offer. 3A and 2A players will feel right at home manipulating two objects at once. That’s the beauty of 5A. You can take whatever you already have and make unique and interesting 5A tricks, once you understand the basics. That’s all totally true. Last but not least, what can we expect to see from you in the future? Hopefully you’ll see many great freestyles at some large contests from me. I’m quite happy with the progress I’ve been making and I’m excited to show off some of my new concepts and tricks. 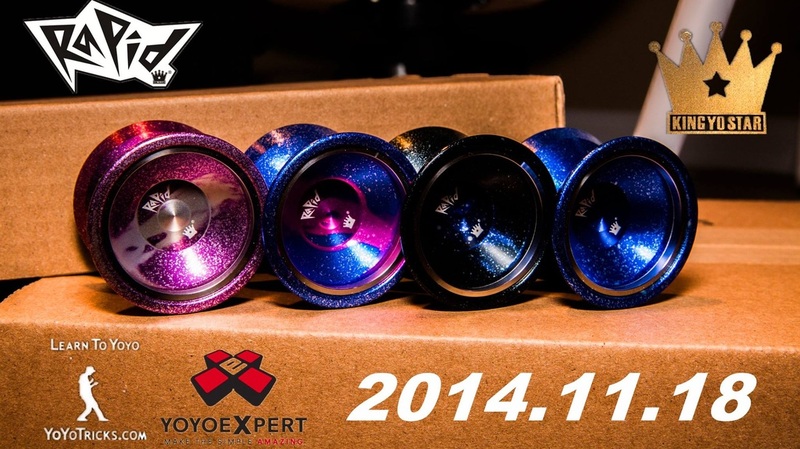 I also have an upcoming bi metal signature yoyo which should be coming out soon. I’ve been play testing it for over 6 months now and it’s as close to perfection as I could imagine a yoyo being. I’m extremely excited to see it be released and I hope that everyone loves it. I doubt you’ll have any trouble achieving those goals, thanks Jake!